Happy Closing Day to Aaron and Buyers! Congratulations to Aaron and his buyers on the closing of their new construction home! 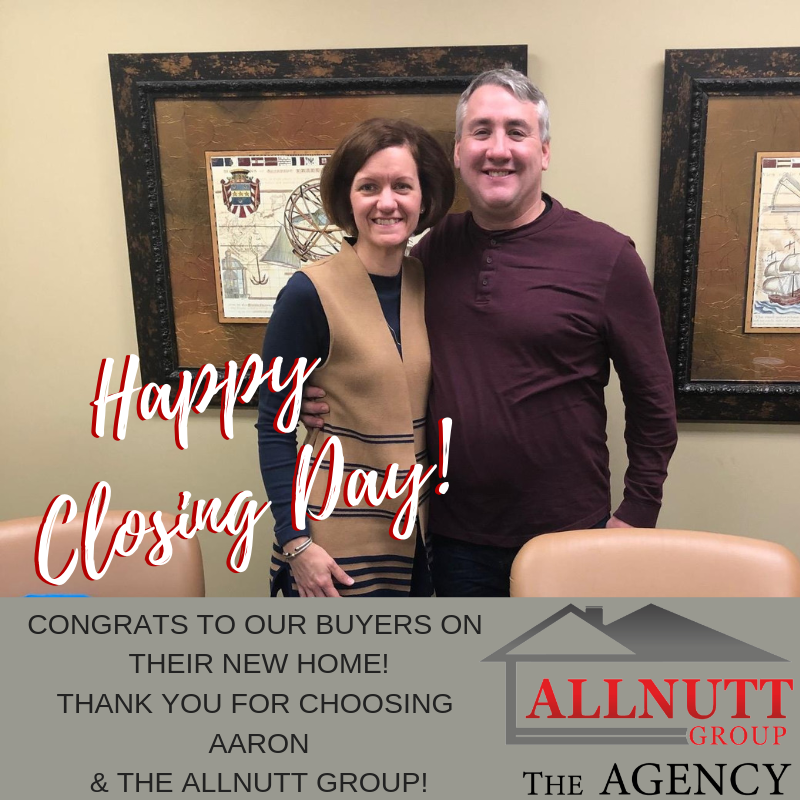 Thank you so much for trusting The Allnutt Group! We hope you have a wonderful time creating memories in your new home!